Posts with tag: "Class of 2013"
Well, it's that time of year again where I need to stop and reflect (before the next portrait rush begins) on all the wonderful seniors I've met in 2012-13. I'm so lucky to be able to work with such a remarkable group of young adults. Not only do I get to photograph many of them, but I have also gotten to know so many of them in the classroom as their substitute teacher. Several I've know since they were in elementary school! Graduations are finally over, celebrations have just begun and will continue long into the summer. With the arrival of Fall their next journey begins. 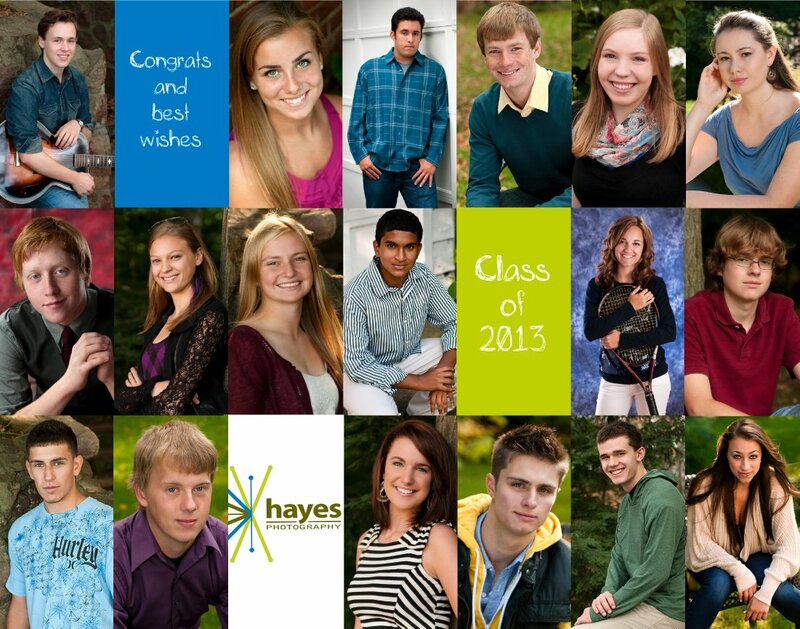 Whether it's college, the military, jobs or travel, I wanted to take a minute to congratulate you and thank all the Hayes Photography Class of 2013 seniors and their families for choosing me and my business. I was honored to be your portrait photographer and it was wonderful getting to know you all. I wish you the very best for your future plans. I know you'll go on to do some great things. Make sure you stay in touch!